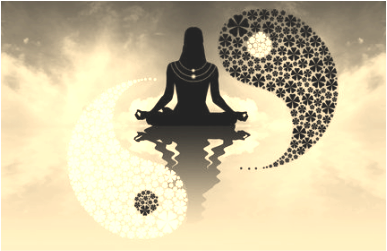 Tao & Zen students are provided with a useful introduction to Taoist Meditation and Zen Buddhism, as well as basic instruction in practice sitting meditation. It’s a unique opportunity to learn first-hand from seasoned practitioners, Christine Ucich and David Wilson. At the heart of Zen practice is zazen, seated meditation. One master said that listening and thinking are like being outside the gate, and zazen is returning home and sitting in peace. Zazen is really a very simple practice and does not involve complicated instructions. Sit in the proper posture and attend to the body, breath, and mind. Likewise, Tao meditation is a simple practice. Based on the premise of entering inward toward the subtle energy of the body, Tao practices includes breath awareness and visualization of the Qi meridians (energy channels). The combination of breath & mind (visualization) brings the body and mind, together, as one. how to attend to both body and mind during seated meditation. Register in advance by June 24. Space is limited. David Wilson started meditation with Zen communities in Portland, Oregon in 1991. After moving to Connecticut, he became a student of Tai Chi and Aikido. David leads Zen practice at Fire Horse Aikido in New Haven CT.